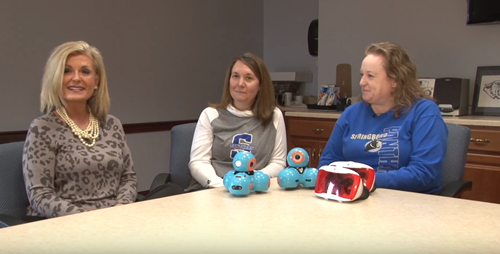 Watch "Springboro 45066" to see Co-Host Carrie Robbins talk with Amy Romes and Sheryl Winter, Educational Technologists with Springboro Schools, about technology and Virtual Reality (VR) in the district. The segment begins at 10:25. Click Here to Watch "Springboro 45066" - April 2019 Episode (Part 2)"